Sales of song downloads are in freefall in the US – but streaming appears to be making up for things. 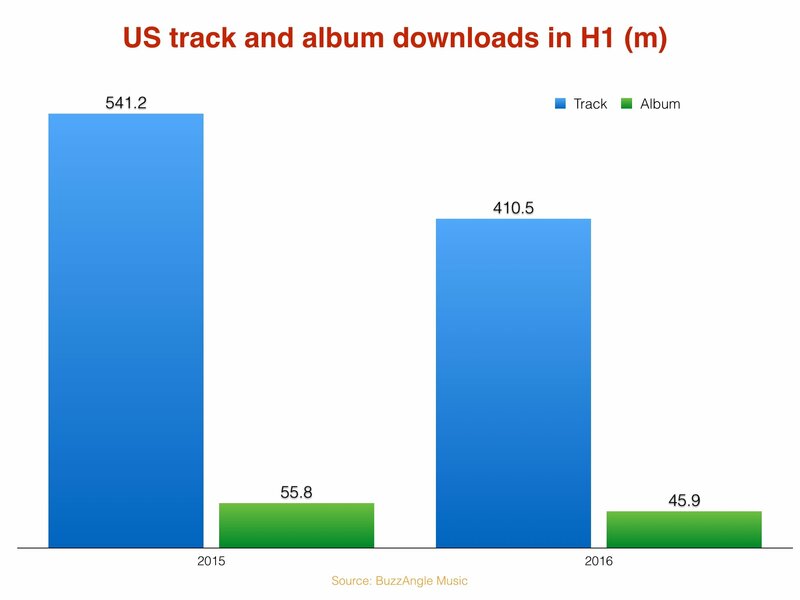 Considering a typical iTunes download costs $0.99 – $1.29 in the US, you’re on pretty safe ground to assume this decline has hit the recorded music sector’s wholesale income to the tune of around $100m. These figures are broadly in line with Universal Music Group’s Q1 results, which showed a 32% drop in global download income year-on-year – a stat which was exacerbated by major releases such as Kanye West’s The Life Of Pablo not materializing on iTunes during its initial release window. 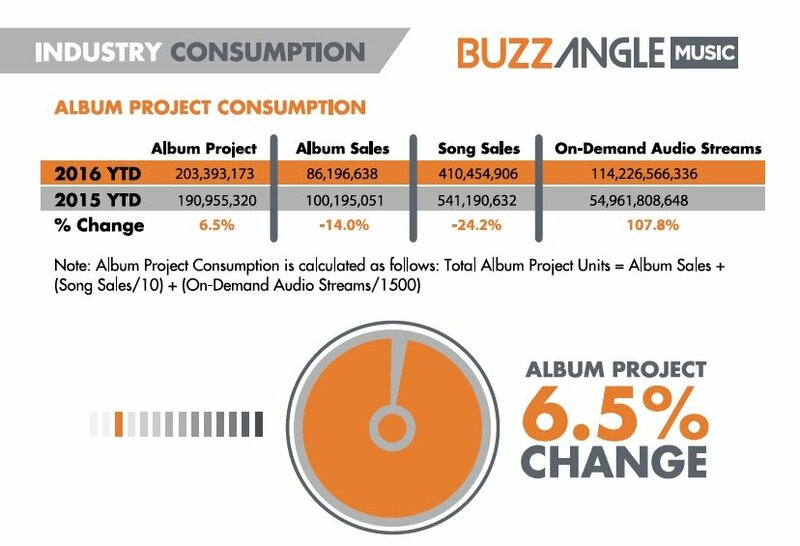 BuzzAngle’s mid-year US data also shows that digital album sales – that’s one-off full album buys – fell by 17.7% year-on-year, down to 45.9m in the first six months of this year. Reasons to be cheerful, then? Plenty. The download market might be in turmoil, but BuzzAngle discovered that on-demand audio streams more than doubled in the first half of 2016, up 108% to 114.2bn. That was enough to take total audio streams on platforms such as Spotify, Apple Music and Tidal above those on video platforms such as YouTube – a power shift that will no doubt be welcomed at labels. Video platforms saw music streams grow 23% to 95bn, meaning that overall streaming consumption on all platforms grew by a healthy 58% to 209.4bn. According to Buzzngle’s own methodology, these figures helped the total recorded music market – across physical and digital – grow 6.5% in the six months on a consumption (not value) basis.